Mopar factory front license plate bracket for the metal Wrangler Hard Rock, X, 75th Anniversary and 10th Anniversary Rubicon front bumper. Will not work with a winch installed in bumper. Will not work with the standard all plastic factory bumper. I purchase this bracket in the hope that it would fit my 75th Anniversary Wrangler Unlimited. It did, perfectly. 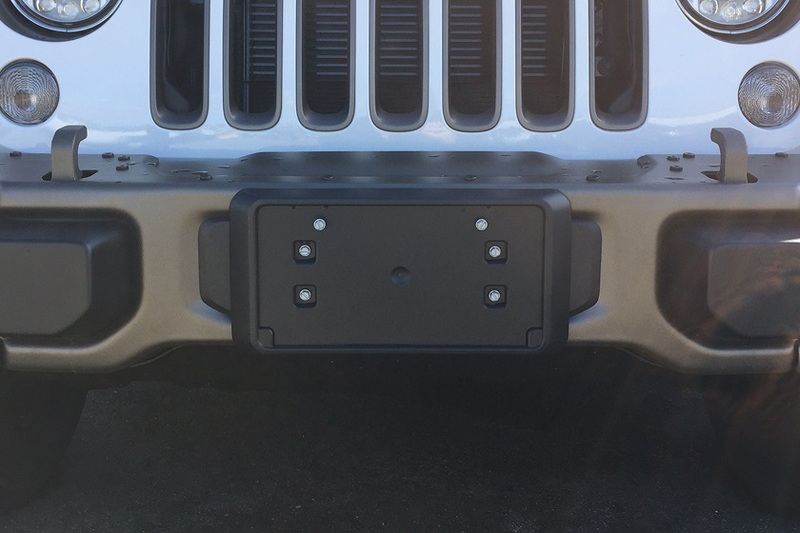 My Jeep had the "dimples" in the midline of my bumper and they aligned perfectly with the mounting holes in the bracket. I drilled 1/8 inch pilot holes at the dimple sites to make it easy to get the mounting bolts started. Glad I have a way to mount my MLRS "Multiple Launch Rocket System" plate now!! ProsEasy install. Good mounting bolts.